Low Hoa'S And Low Cherokee County Taxes (Previous Taxes Reflect Non Owner Occupant). MLS#6122391. Palmerhouse Properties. Grand Clubhouse Will Soon Open Featuring Salt Water Pool, Work Out Facility, And Elegant Finishes. MLS#6120812. Orchards Development, Llc.. Hurry, This One Won'T Last Long...This Home Can Close In 30 Days! MLS#6120967. Beazer Realty Corp..
2 Barns And Outbuilding. Zoned R-40. No Flood Plain. MLS#8509937. Northgate Realty Brokers, Llc. Two Car Garage. Ready Now. Move Right In MLS#6118028. The Providence Group Realty, Llc..
Grand Clubhouse Will Soon Open Featuring Salt Water Pool, Work Out Facility, And Elegant Finishes. MLS#6117650. Orchards Development, Llc.. This One Is Loaded With Extras, Even Had Quartz Kitchen Counters. MLS#6116115. Sm Atlanta, Llc..
Towne Lake Hills East - Stock Photos Used Since Home Is Under Construction-Options Shown May Be Different Than What Is Actually Installed In This Home. MLS#8503163. Beazer Realty Corp..
Main Level With 5 Inch Pre-Engineered Hardwood MLS#6114089. Sm Atlanta, Llc..
We Have A Furnished Model. Still Time To Add. MLS#6113952. 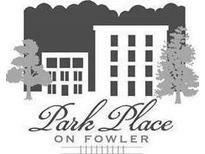 Sm Atlanta, Llc..
Park Place - Builder Adding Options As Construction Continues. MLS#6112986. Atlanta Communities. Come And Pick All Your Finishes. Ready Early Summer. MLS#6111424. Jw Collection Brokers, Llc..
New Sales Incentive: Free Stainless French Door Refrigerator, 2" Faux Wood Blinds, Plus Up To $4500 Closing Costs W/Traton Preferred Lender. MLS#6110179. 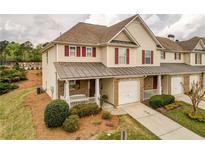 Traton Homes Realty, Inc..
Stoney Creek - Minutes Away From Many Shopping Options, Restaurants, And Parks Near Downtown Woodstock And The Outlet Shoppes Of Atlanta. MLS#6110373. Ansley Atlanta Real Estate, Llc. 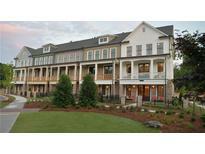 Estates Of Fernwood Creek - Amazing Location In Established Community, Close To Downtown Woodstock And Roswell! 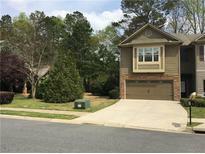 MLS#8488878. Keller Williams Rlty First Atl. Come And Pick All Your Finishes. Ready Early Summer. MLS#6103047. Jw Collection Brokers, Llc..
Victoria Cottages - Enjoy The Peace And Quiet Of This Lovely Lake Community MLS#8488340. Maximum One Realty Greater Atl. Close Late May 2019 Or Select From Pre-Sale Custom Plans Avail For Ltd Time. 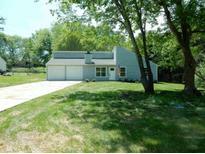 MLS#6096874. 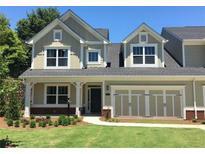 Atlanta Fine Homes Sothebys Intl..
1St Phase Pricing Won'T Last!Can Close End Of May MLS#6096856. Atlanta Fine Homes Sothebys Intl.. Intro 1St-Phase Pricing Won'T Last Long!Can Close End Of May MLS#6096855. Atlanta Fine Homes Sothebys Intl..
Move In Late May 2019 Or Select From Pre-Sale Custom Build Options Now Available For A Limited Time Only. Elevator Option Available MLS#6096869. Atlanta Fine Homes Sothebys Intl..
Home Sold As-Is, Needs Renovation, Good "Bones" (Not Fha Compliant). Great Investment Opportunity! 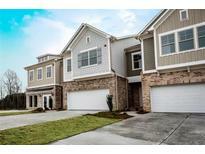 MLS#8480282. Northgate Realty Brokers, Llc. 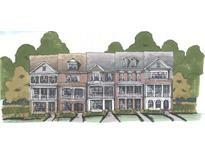 Towne Lake Hills East - Please Come See Our Fully Decorated Model Home As It Is The Same Plan! MLS#8472694. Beazer Realty Corp.. Amenities Galore!!! Completed First Of The Year. MLS#6086952. Jw Collection Brokers, Llc..
Too Much Coolness To List. Come And See! ! MLS#6085208. Nabors Norris.